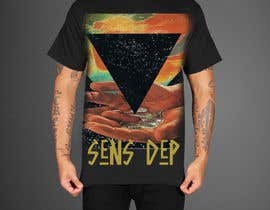 Something like this on the front of a T-Shirt with the words Sens Dep in a cool-looking font! I would prefer an original image. 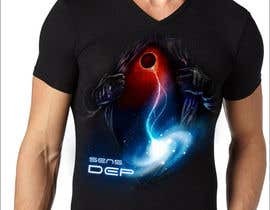 Please go with more of a "explorer motif" This is a t-shirt line for people who like sensory deprivation tanks. I've attached a image of what i'm looking for but I would prefer and original image. See the attachment for inspiration. 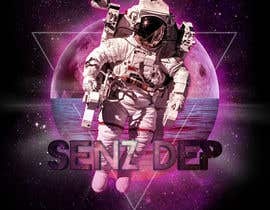 also see our website [login to view URL] to learn more about Sensory deprivation or "floating" as it's called. Thanks for your submissions! There are some pretty good ones so far but I think we can do better. Impress me and there will be many, many more! Please check your mail and let me know weather you like it or not ? 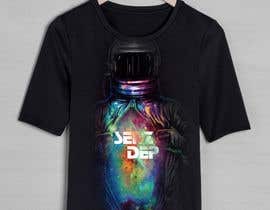 Dear contest holder, before you end this contest, and before you buy some design from other designer, be aware of copyrights, resolutions, and print capabilities. In that kind of contest, it's easy to show "nice" designs, but to make usage from them in future, it will be a problem, especially with copyrights. Please come to G-mail(akashcanalso@gmail.com) and have a chat. 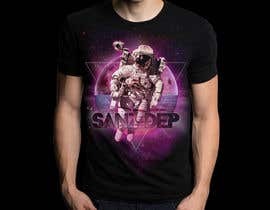 I have a new design but I can't submit it. I have made those changes but I am unable to summit because the contest ends.Please choose my entry and award I will provede you those files. Please check 84 and 95 when you get a chance. Thank you. I think that most of these works are not for printing, be careful when you pick the winner or you'll have an unpleasant surprise. Please review entry #89 , #90 and #91. Hello Everyone! Perhaps I was not clear in my instructions But I would prefer an original image. The person who comes up with the most original image that looks amazing will win. Do you want new person ? taga saan kayo? cebu? he he. Please check #51 sir :) Thank you!